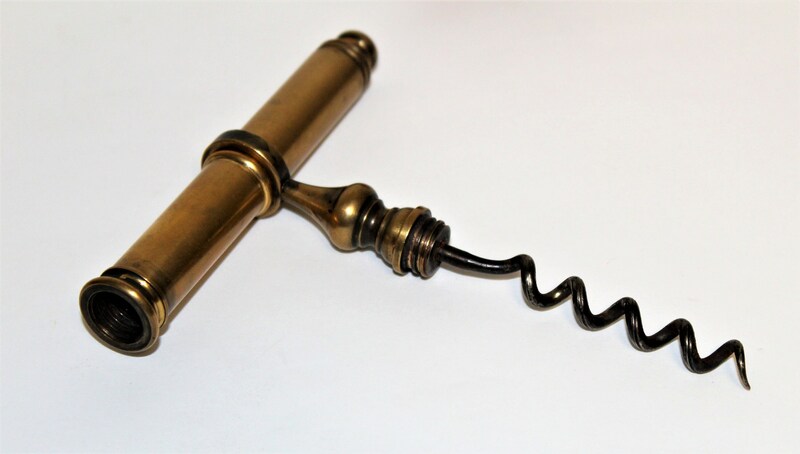 Wonderful brass picnic style corkscrew. 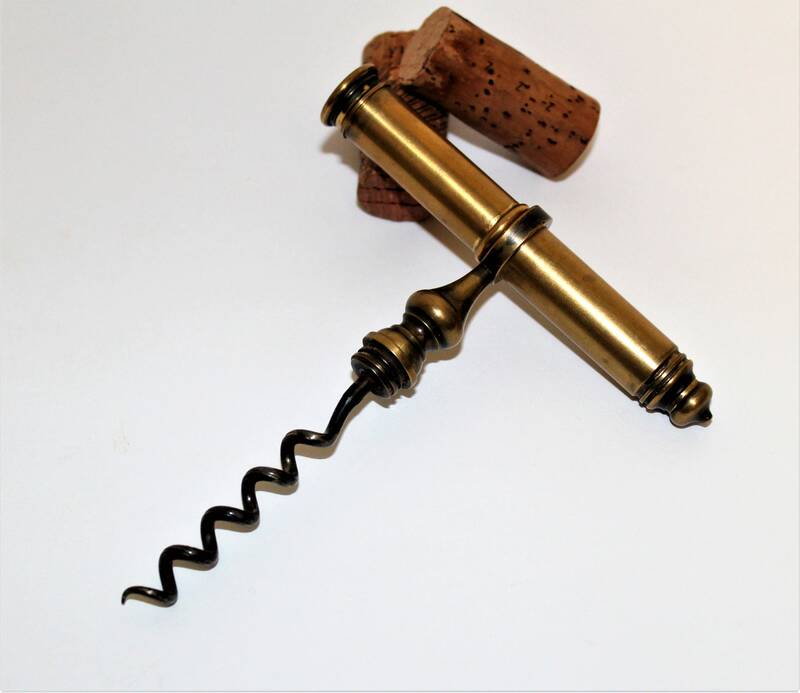 A two piece corkscrew, the frame screws together making it secure travel design. 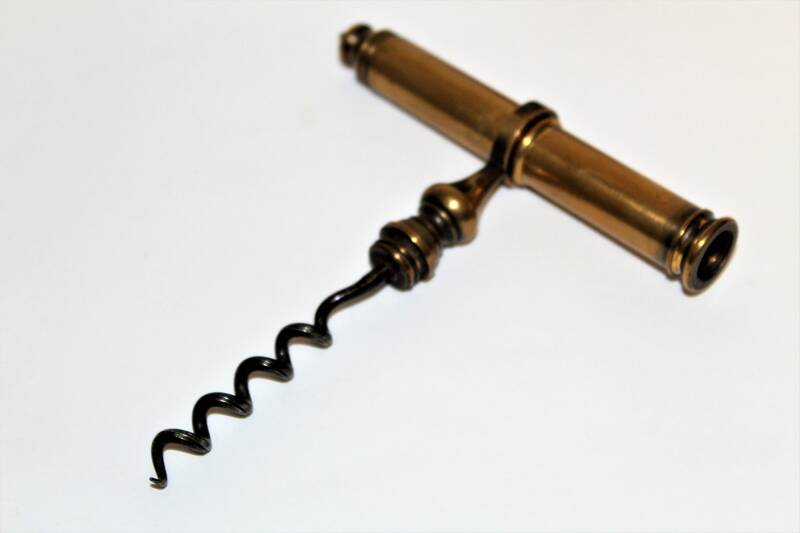 This is a much larger picnic style corkscrew then I have seen before it measures 6 ½” long. 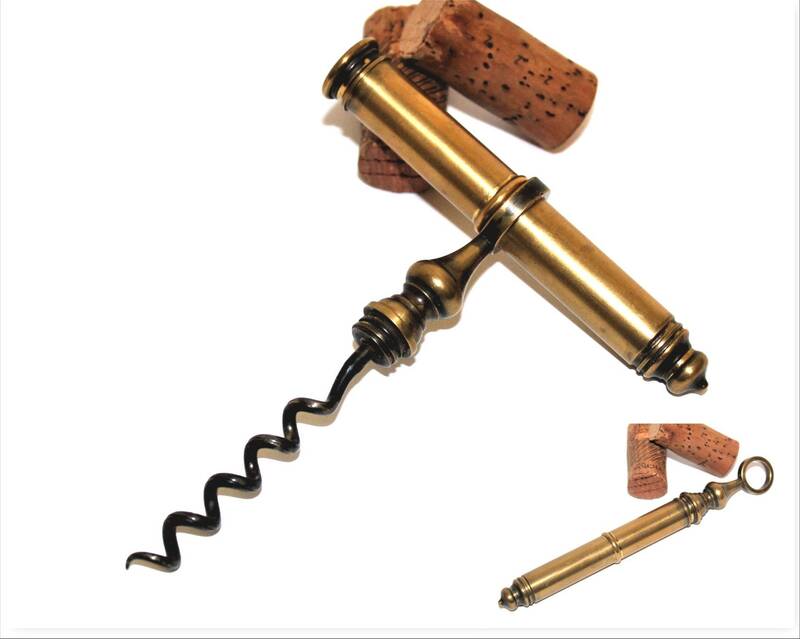 The size makes it a much more manageable tool, allowing you to get a firm grip when pulling the cork. 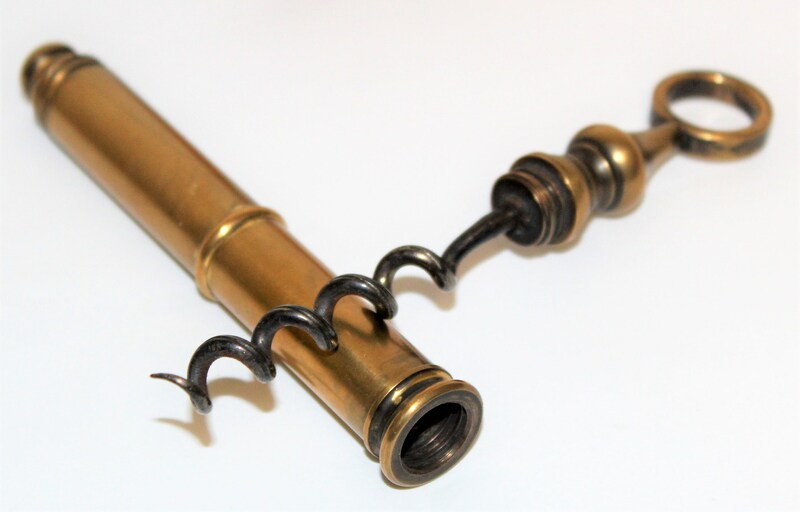 In an antique brass finish. Perfect for travel or a wonderful gift. 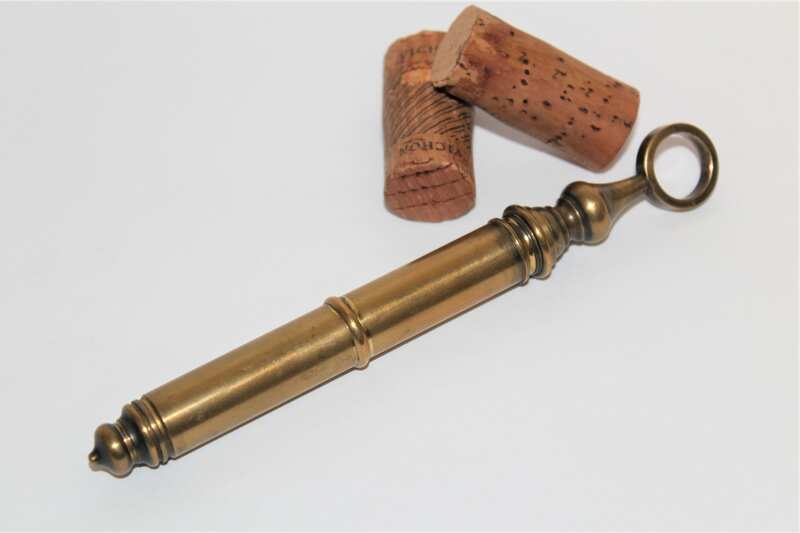 Measures; 6 ½” long closed. Condition; very good with light scuffs and scratches.